Hunter Gaddis brings talent as a freshman to Georgia State’s baseball team. At 6 feet 4 inches tall, 202 pounds, Gaddis also brings great size with him to the mound. In fact, Gaddis genuinely believes that his height offers him an advantage over most batters that approach the plate. 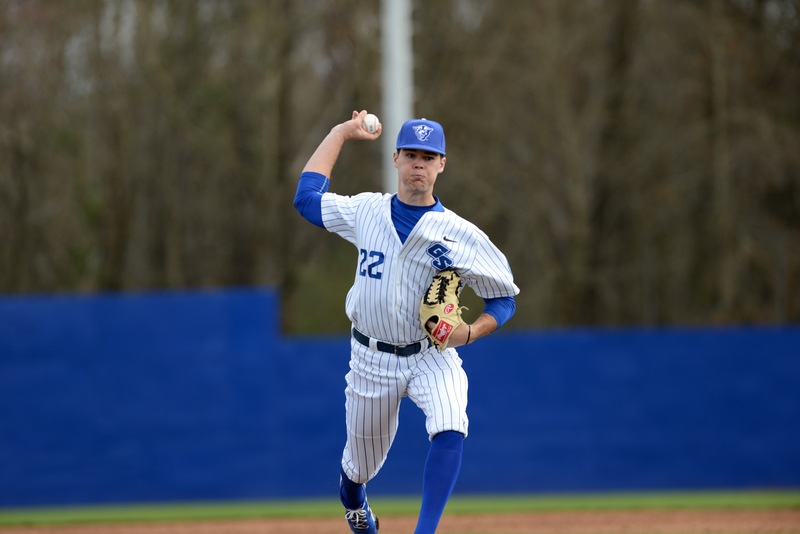 Obviously, Gaddis dominated as a pitcher during his high school career, being that he was a 2016 Southeast Region honorable mention selection and 2015 Underclass All-American. However, it wasn’t promised that Gaddis would show that same poise and command on the mound at the Division 1 level. Gaddis has noticed the difference between pitching in high school to now being a rotational pitcher for the Panthers. While the Panthers’ pitchers as a whole have not necessarily performed well, Gaddis has shown some promise of becoming a solid pitcher for the club. Gaddis is currently tied for first place on the team in wins with three in the year, thus far, according to sunbeltsports.org. Looking to add to that number, Gaddis credited pitching coach Chris Bootcheck, who played in seven Major League seasons as a pitcher. Gaddis acknowledges Coach Bootcheck for teaching him the ins-and-outs of what it takes to become a dominant pitcher. “Obviously he had the knowledge I wanted to learn, so I paid close attention to what he was telling me and tried to put it in my works and use that to make me a better pitcher,” Gaddis said about receiving pitching advice from coach Bootcheck. In retrospect, Bootcheck applauded Gaddis for his work ethic and his ability to create a spark in the bullpen immediately. Although Gaddis has shown a considerable amount of upside to his game in just his first year with the Panthers, he also acknowledged the fact that he must work on tightening up his delivery of certain pitches, or his fastball to be exact. When asked what is his desired pitch to throw, Gaddis considered the cutter, a type of fastball that breaks slightly toward the pitcher’s glove side as it reaches home plate, to be his favorite. Gaddis has undoubtedly impressed his teammates and coaches with his promising play as a freshman. But what is Gaddis the most impressed with in his first year as a collegiate pitcher? Well, his response was quite humbling. As for avoiding a sophomore slump, Gaddis intends on using the upcoming off-season to his advantage. Another aspect of Gaddis’ game that will likely improve is his tendency to hit batters. According to sunbeltsports.org, Gaddis currently has a total of five hit batters. “Honestly, I don’t see that as a problem,” Gaddis said in a joking manner. Nonetheless, Gaddis will look to continue to build on what has been a solid freshman year.